Though Ernest Hemingway loved to drink just about anything, his stand-by cocktail was allegedly a dry martini. He devised this clever hack for making them almost unbearably cold. Ernest Hemingway loved to drink. Unless he was writing or fighting (two situations in which he believed one should be completely "cold"), Papa was heavy-handed with whiskey, wine, rum—you name it. And he didn't hide his penchant for booze. As he wrote in A Moveable Feast, "Drinking wine...was as natural as eating and to me as necessary." 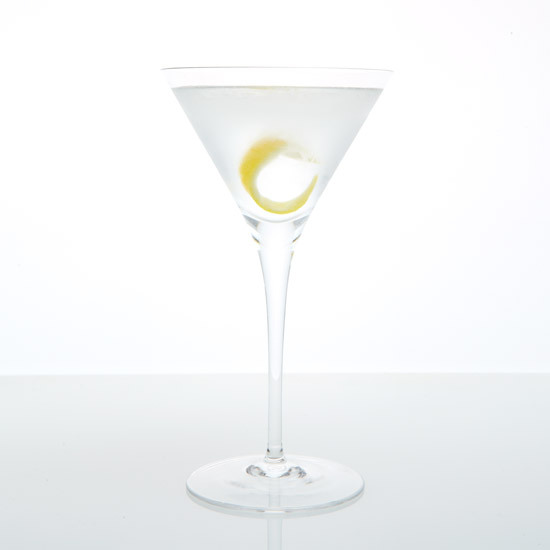 Though he is known for popularizing the Hemingway Daiquiri in Havana and creating the spritzy, absinthe-laced Death in the Afternoon, legend has it that an extra-dry martini was actually his standby cocktail. Frederic Henry, the protagonist in Hemingway's A Farewell to Arms, may have expressed the author's feelings about the cocktail best: "I had never tasted anything so cool and clean. They made me feel civilized." Hemingway preferred his cocktails icy-cold and reportedly had a clever hack for making "the coldest martini in the world." His trick? Freezing water in tennis ball tubes to make massive ice cylinders. He also froze the glasses and the Spanish cocktail onions he used as garnishes. The result was a drink so cold that Hemingway boasted, "It sticks to the fingers."